Editor’s Note: Fannie and Freddie have foreclosed on almost 4 million homes since the financial crisis of 2008. The GSEs typically can’t prove they own the loan if it was securitized between 1999 and 2014. Did you know that Fannie Mae and Freddie cannot accept a note that is not properly endorsed and assigned? A note that is not properly endorsed or assigned is considered a ‘fail’. See Document Custodian information here. 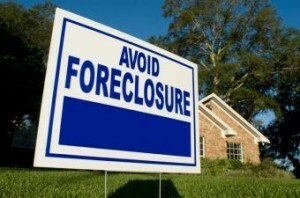 Fannie Mae and Freddie Mac wrapped up 15,683 foreclosure prevention actions in May, according to the Federal Housing Finance Agency (FHFA) May Foreclosure Prevention Report. This brings the total number of foreclosure prevention actions to 3,914,668 since the inception of the conservatorships back in September 2008. More than half of the actions reported for May-or 10,769-were permanent loan modifications, compared with 11,328 in April. All told, since September 2008, the Enterprises have granted permanent loan mods to 2,076,345 distressed homeowners. Along those same lines, the share of modifications with principal forbearance accounted for 25 percent of all permanent modifications in May, according to the report. Modifications with extend-term only leapt to 45 percent during the month thanks to ongoing positive headwinds in house prices. Additionally, a combined 1,489 short sales and deeds&apos;in&apos;lieu sealed in May. There were 10 percent more-or 1,650-in April. As for the Enterprises mortgage performance metrics, the serious delinquency rate spiraled down further, plunging from 1.01 percent at the close of April to 0.98 percent at the end of May. Loans 30-59 days&apos; delinquent charted at 402,780 in April; they stood at 348,141 in May. Continuing their downward trajectory, 60-plus-days&apos; delinquent loans hit 1.3 percent in May, decreasing from April&apos;s 1.34 percent. In terms of Fannie and Freddie foreclosures, third-party and foreclosure sales jumped 9 percent, from 5,523 in April to 6,042 in May. Foreclosure starts tumbled 13 percent from 17,056 in April to 14,905 in May. The top five reasons for delinquency in May included curtailment of income (21 percent), excessive obligations (22 percent), unemployment (7 percent), illness of principal mortgagor or family member (6 percent), and marital difficulties (3 percent).